it’s been announced that Stephen King’s horror/fantasy series The Dark Tower will be produced for both film and television. Sony Pictures will be teaming with MRC to co-finance this project. The series will start with The Gunslinger, the first book in the series. The latest script is co-written by Akiva Golsdman and Jeff Pinkner. There are few projects out there that compare with the scope, vision, complex characters and fully drawn world that Stephen King has created with The Dark Tower. I am a giant fan. And, as Stephen himself does, we love the direction that Akiva and Jeff have taken. This is a great opportunity for a director to put his or her stamp on a cool global franchise. Stephen King’s The Dark Tower is getting another shot at the big-screen, this time with Sony and MRC. The two companies are teaming up to produce and co-finance what Sony hopes will be an epic franchise property that will combine a movie series and a complimentary TV series. King's Western-style fantasy series is set mostly in an alternate world that's heavy on magic and centers on a man who is part of a knightly order of gunslingers. Akiva Goldsman, Ron Howard, Brian Grazer and Erica Huggins, who have been trying to mount the project for close to a decade, are producing. The project has a new script co-written by Goldsman and Jeff Pinkner. Insiders say the new script, which adapts the first book of the series, Gunslinger, has been totally reconceived by the duo from the version that had been previously developed. Now the hunt begins for a filmmaker to sit in the director’s chair. Said Tom Rothman, the new chairman of Sony Pictures Entertainment Motion Picture Group: “There are few projects out there that compare with the scope, vision, complex characters and fully drawn world that Stephen King has created with The Dark Tower. I am a giant fan. And, as Stephen himself does, we love the direction that Akiva and Jeff have taken. This is a great opportunity for a director to put his or her stamp on a cool global franchise." The project was in development for years at Universal with ambitious plans for three movies and TV series, but eventually a high budget brought it down even as it attracted talent such as Javier Bardem. Howard was on board to direct at least the first installment. After it was put into turnaround, it looked like Tower would land at Warner Bros., the producing home of Goldsman, but the studio passed. Again, budgetary and scale issues were the concerns. The project had been in development at MRC for the last couple years. King was upbeat about the latest development, saying in a statement, "I’m excited that The Dark Tower is finally going to appear on the screen. Those who have traveled with Roland and his friends in their search for the Dark Tower are going to have their long-held hopes fully realized. This is a brilliant and creative approach to my books." 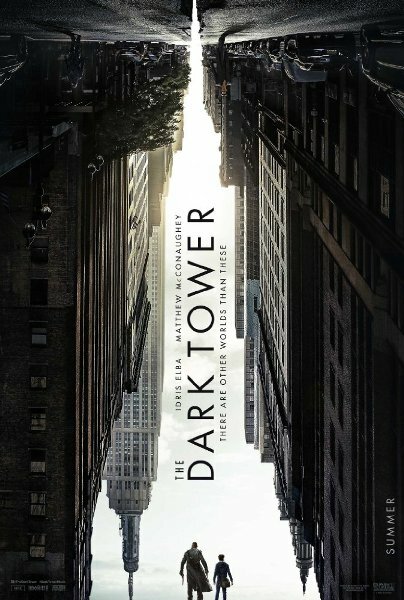 Media Rights Capital and Sony Pictures are going to try and strike a deal with Danish writer/director Nikolaj Arcel to helm the first part of their adaptation of The Dark Tower series. Cinephiles may recognize Arcel as the man who wrote the Swedish adaptation of The Girl With The Dragon Tattoo and, directed the film The Royal Affair, which was nominated for the Best Foreign Film Oscar. Securing a director will be yet another battle won in the long war of The Dark Tower adaptation. 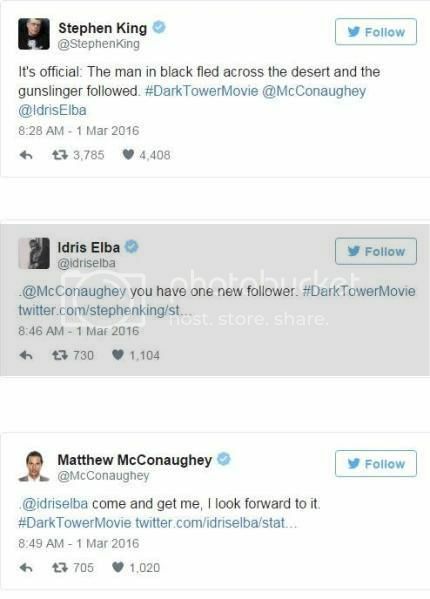 The ink is apparently dry on the deal for the man who will direct The Dark Tower. That man is Nikolaj Arcel, who was first reported to be attached to the project earlier this year and has now been officially confirmed (via Deadline) as the director by Sony Pictures, which picked up the massive adaptation of Stephen King's eight-novel cycle after it was developed and then dropped by both Universal and Warner Bros. Although there have been several versions of the script, Arcel -- who directed A Royal Affair and co-wrote the original film version of The Girl with the Dragon Tattoo in his native Denmark -- will do his own rewrite with fellow Danish filmmaker Anders Thomas Jensen. The movie will be based on King's first book in the cycle, The Gunslinger, which introduces us to the last gunslinger, Roland Deschain, and the alternate, ruined version of our world in which he searches for the legendary Dark Tower of the title. 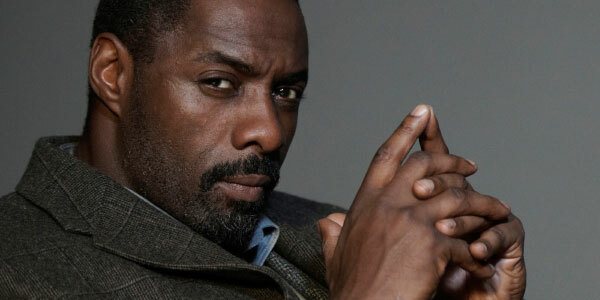 Sony has set the release date for The Dark Tower movie to January 17 2017. Страхотно...това съм го пропуснал . Изглежда доста официално! To me, the color of the gunslinger doesn't matter. What I care about is how fast he can draw...and that he takes care of the ka-tet. А къде отива конфликта между Дета Уокър и белите в лицето на Стрелеца? Не ми харесва това решение, не че съм расист. Мскконъхи е ок, другото е недоразумение някакво. Май филмът няма да е по първата книга, а ще е хибрид между книгите така, че действието да се развива само в нашия свят. Аз вече очаквам да го направят боклук от сорта на Jupiter Ascending, така че ако е поне наполовина добър колкото книгите, ще ми хареса. Значи е напълно възможно Дета да е белокожа за да се запазят отношенията и мислите й за Роланд? Или да стане като с "Игра на тронове" и да има доста разлика с книгите?!? Аз тази простотия няма да я гледам. Все едно Хемсуорт да изиграе Джими Хендрикс.